Dog toys are good for your pet's mental and physical health because of the stimulation and exercise they provide during play. Here are some tips you can use to choose the safest dog toys for your canine companion. Follow each of these points and you can't go wrong. Toys should be appropriate for your dog's size and breed. Toys meant for puppies should not be given to adults. Large dogs can easily swallow puppy-sized toys, while puppies can wrap themselves with a large toy and possibly suffocate. In other words, don't give a toy meant for a Chihuahua to a Great Dane, or vice versa. Be sure toys do not present choking hazards. Remove tags, string, plastic eyes and other objects from toys before presenting them to your dog. Check your pet's dog toys often. Discard any toys that are falling apart or have sharp edges. Always supervise your dog with toys that contain squeakers. 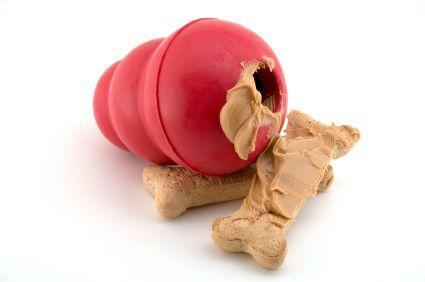 Dogs like to tear apart these toys and are in danger of inhaling the squeaking mechanisms. Hard rubber toys are safer and last longer than toys made from Vinyl or thin latex. 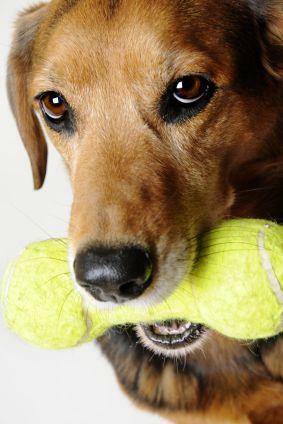 However, owners should also be concerned about unseen, toxic components used in the manufacture of dog toys, such as lead, arsenic and even mercury as reported at TheBark.com and the Center for Environmental Health. Safe dog toys engage and entertain your pet, but they really serve a deeper purpose. They are necessary for your dog's mental and emotional well-being, and they can contribute to physical fitness, too. Choose durable toys that complement your dog's personality to gain long-lasting benefits and some tail-wagging good times.